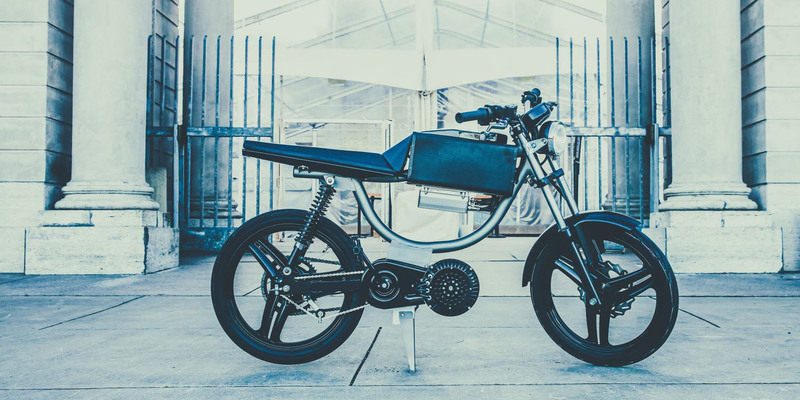 inspired by classic mopeds from the ’70s and ’80s, monday motorbikes’ ‘M1’ merges the styling cues of a vintage motorcycle with the practically of a bicycle. 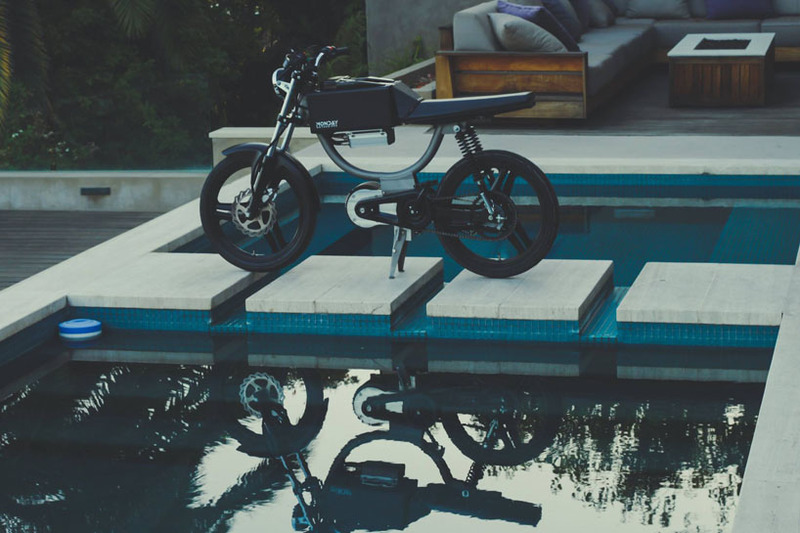 designed and built in california, the e-bike features quick-swap batteries for extended range, five-hour home recharge, plus regenerative braking. 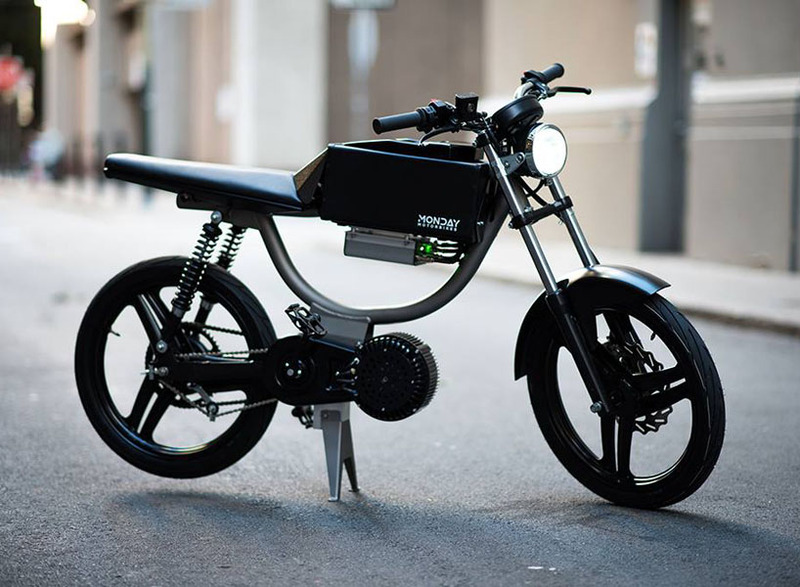 monday motorbikes’ ‘M1’ cuts a silhouette that looks like a neo-retro scrambler, minus the heavy engine componentry that would normally occupy its minimalst, arched frame. 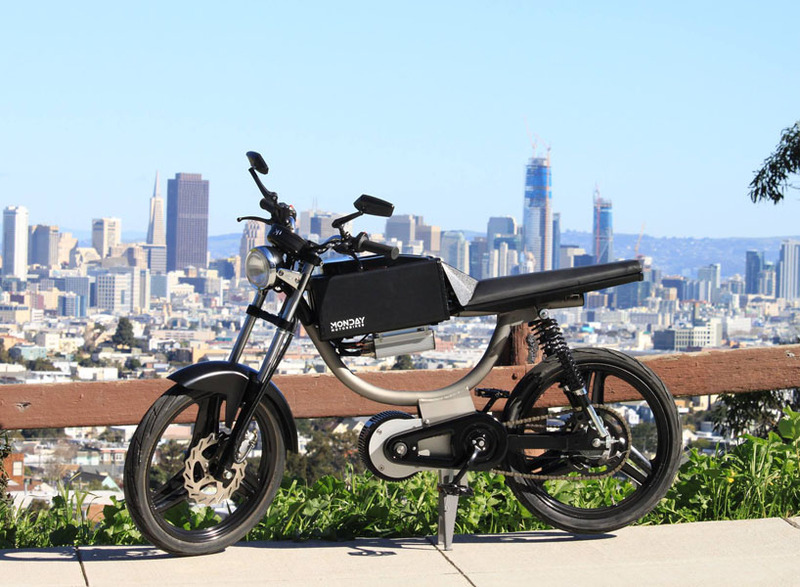 in ‘economy mode’, the e-bike is tuned to meet california electric bicycle regulations — at 32 km/h (20 mph) and with a range of 56 km (35 m), riders can travel all day, use the bicycle lane, and park almost anywhere. 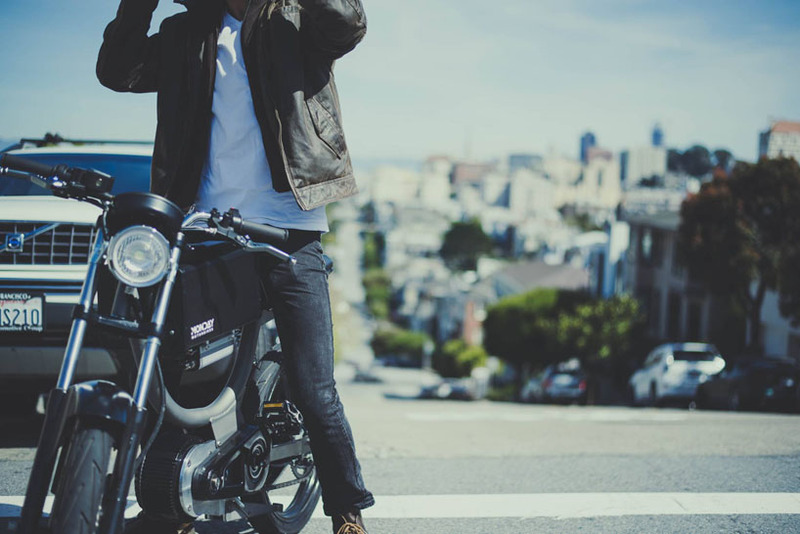 in ‘sport’ mode people can rip at speeds of 64 km/h (40 mph), and have enough torque to climb the steepest of hills in san francisco. 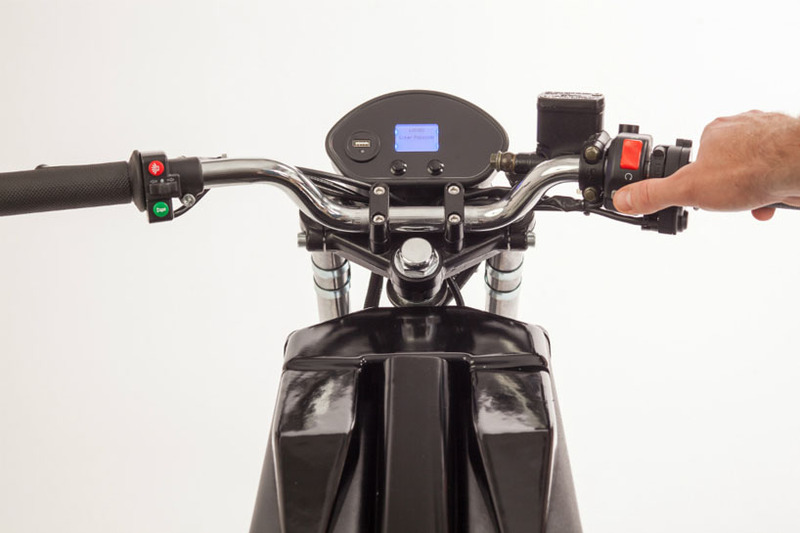 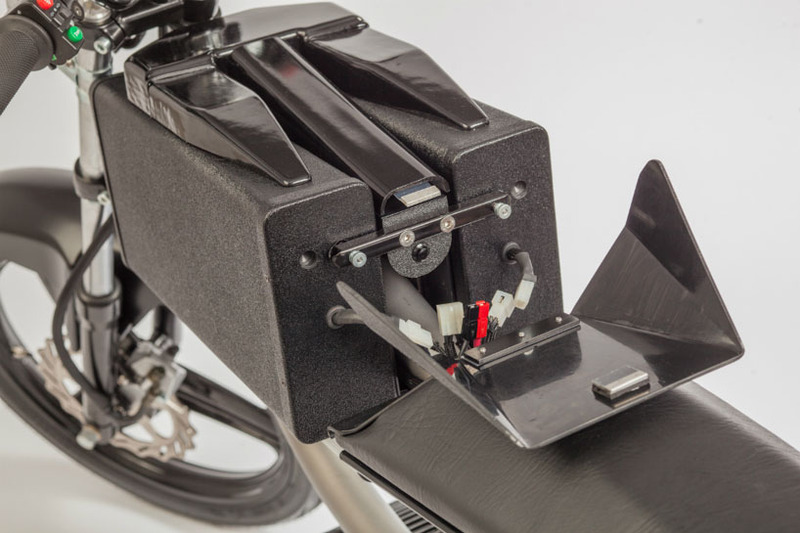 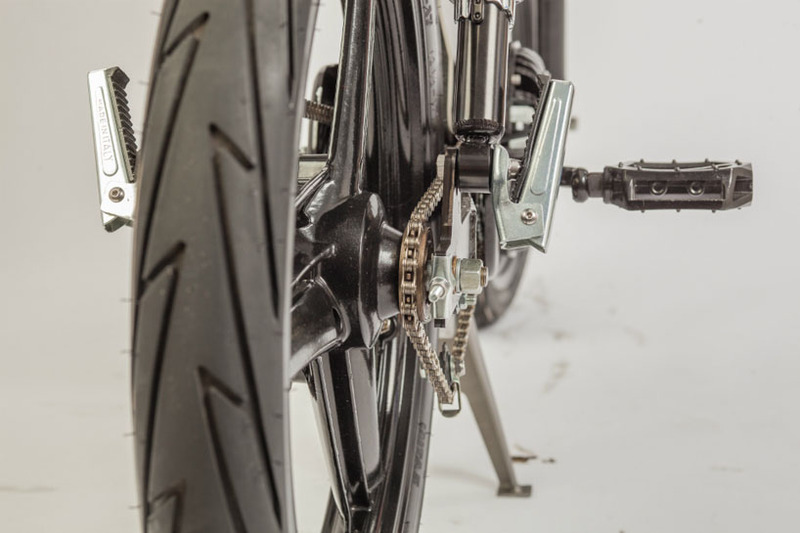 the smart bike’s instrument panel displays power consumption, has a USB port, a programmable keyless ignition with password, plus it’s bluetooth enabled for smartphone use. 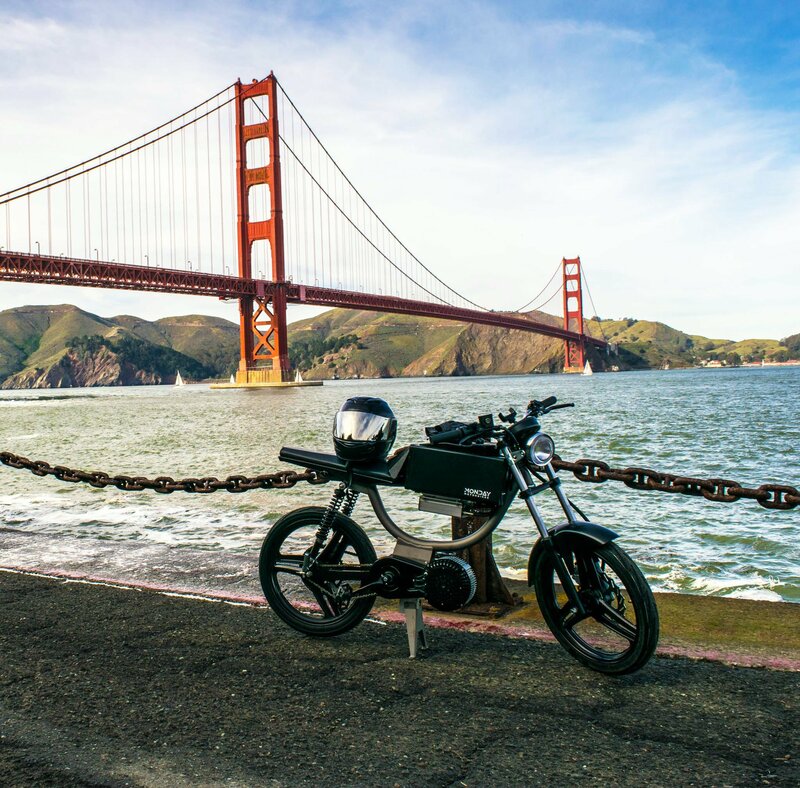 the california-based bikemaker has created a strong vehicle option for city dwellers in a fashion that makes people look forward to cruising around town around. 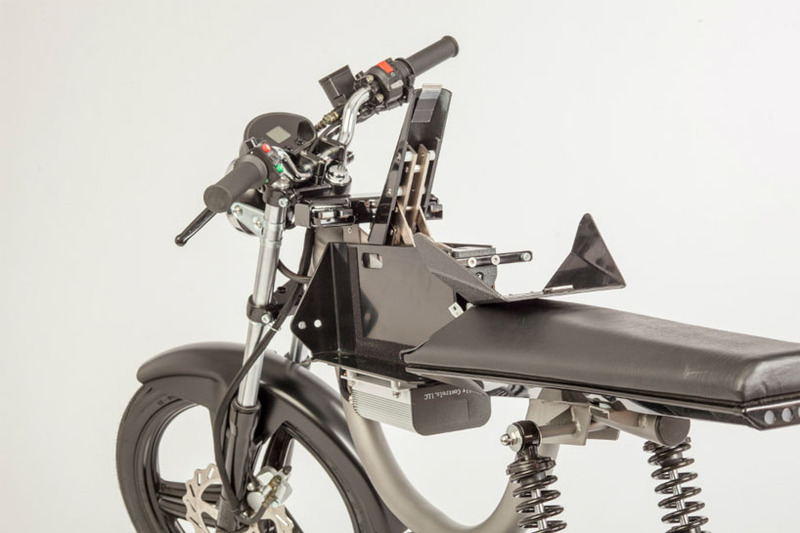 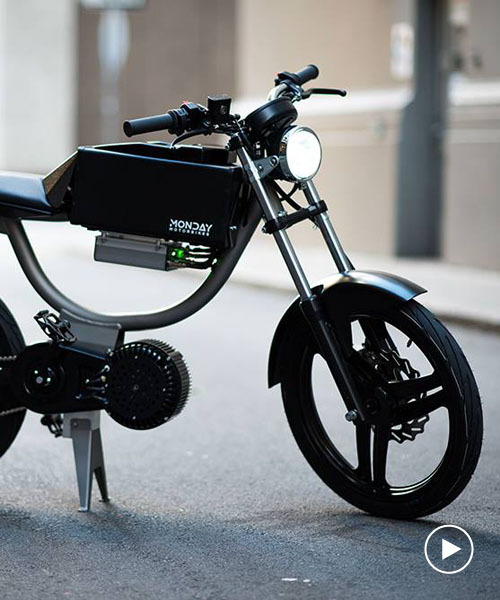 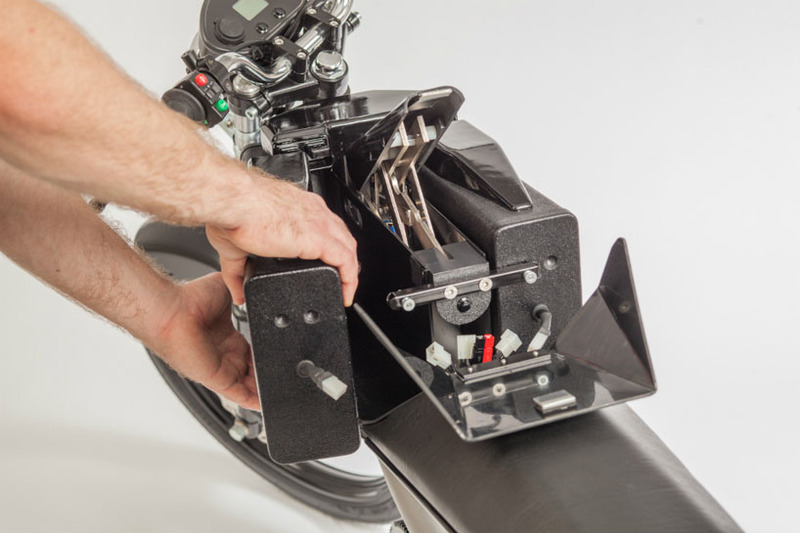 monday motorcycles’ ‘M1’ is both fully-electric, plus makes use of environmentally friendly lithium-chemistry, with patented batteries that are 100% serviceable, and 100% recyclable.